Pudhina Paanagam is a subtle variant to Paanagam – lemon jaggery juice and Pudhina Kulir chaaru – Mint Cooler. Paanagam is a combination of lemon and jaggery water and is an acidity regulator. Hence, it is a preferred drink during fasts. It soothes the stomach and cools the system. 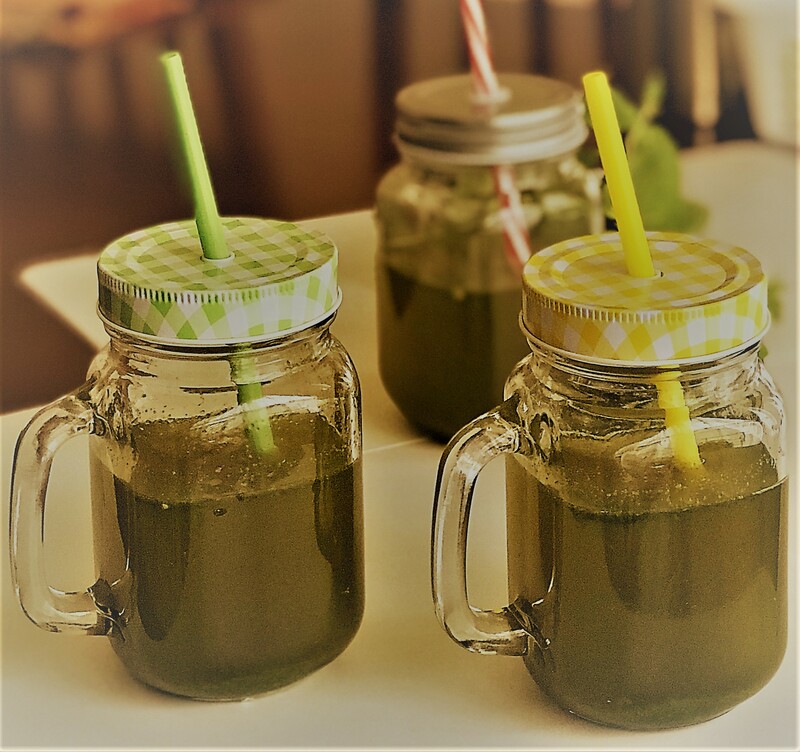 Pudhina Kulir Chaaru or Mint Cooler is basically extracting the flavor of mint in boiling hot water, not blending in a mixer. The previous recipe has sugar in it. Here, in Pudhina Paanagam, I blended fresh mint leaves in lemon-jaggery juice. 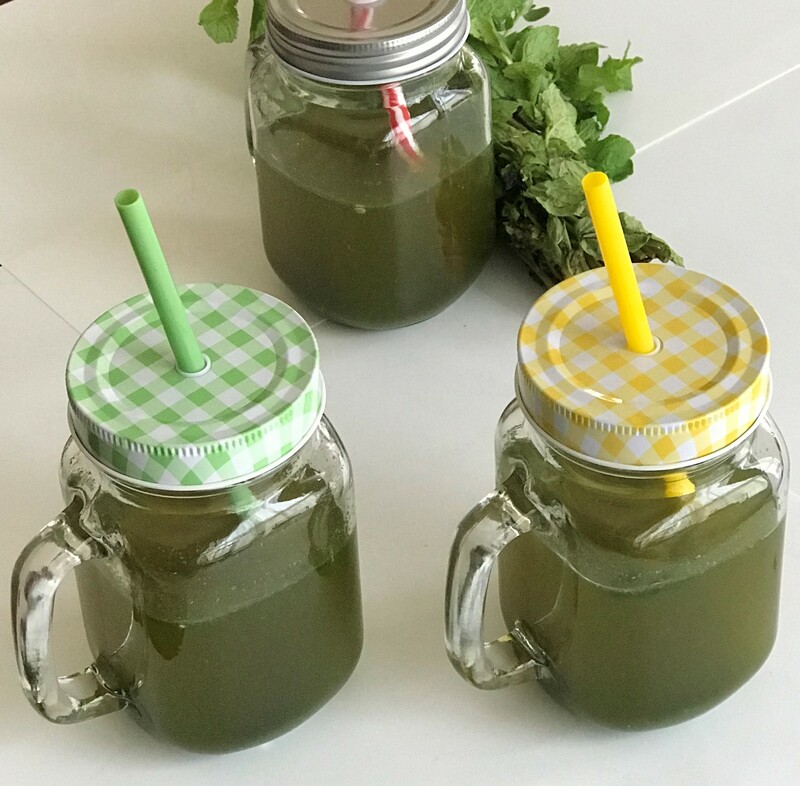 This has the soothing effect of lime and jaggery, packed with freshness of blended mint leaves. 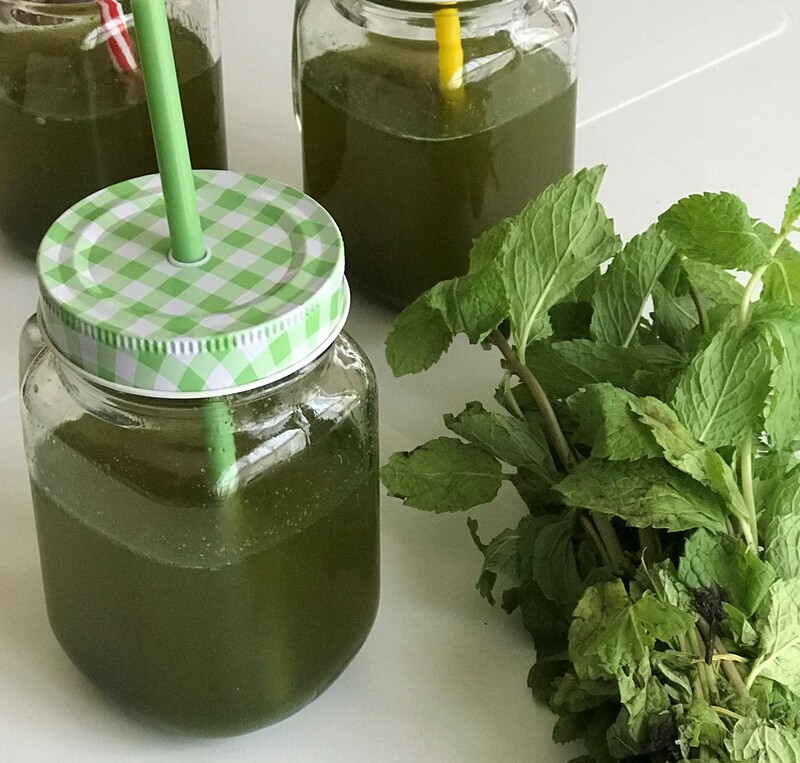 The colour is pleasingly green and the strong flavour of mint hits your palate to travel in and cool the tummy. I avoided the usual cardamom in Paanagam as it might clash with the mint flavour. Chukku Podi/Dry ginger powder is added for easy digestion. I would recommend making jaggery syrup at home, filter and store for various purposes. This is one way, we might avoid depending upon crystal sugar for immediate usages. Heat jaggery in water in sim flame until it completely dissolves. Strain and then boil for 5 minutes… it would be neither syrupy nor watery. Cool and store in fridge. Strain and drink. If one prefers without straining , that’s perfect too.